Is an early 20th century manor house and vineyard estate in the heart of the premier wine-growing region of Argentina. It is a charming family home converted in 2001 by Gabriela Furlotti,a third generation Argentine-Italian, into the first boutique hotel and finca in Mendoza. Although secluded and private, it is conveniently located within 20 minutes drive of Mendoza's city center and within walking distance of a thriving little community with local shops and nice restaurants, called Chacras de Coria. 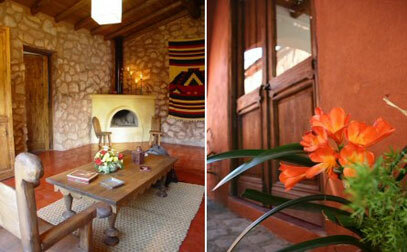 Eleven guest rooms are located at our Finca. The vineyard and fruit trees occupy more than half of the total of approx. 5 acres (2 hectares).